I’ve suffered from dandruff my entire life. It was probably was one of the worst things I had going for me. Unfortunately, dandruff isn’t something that’s easy to hide or treat. You can wear a beanie over your whole head but that won’t stop your dandruff from falling to your shoulders. There weren’t that many solutions while I was growing up, or at least any that I knew of. Today, however, there are plenty of really great ways for you to fix your dandruff issues. Lucky for you, there is a way to get rid of dandruff using Tea Tree oil. The oil is a natural and effective way to cure an itchy scalp. Let’s get down to the nitty-gritty. What is dandruff and how is it produced? 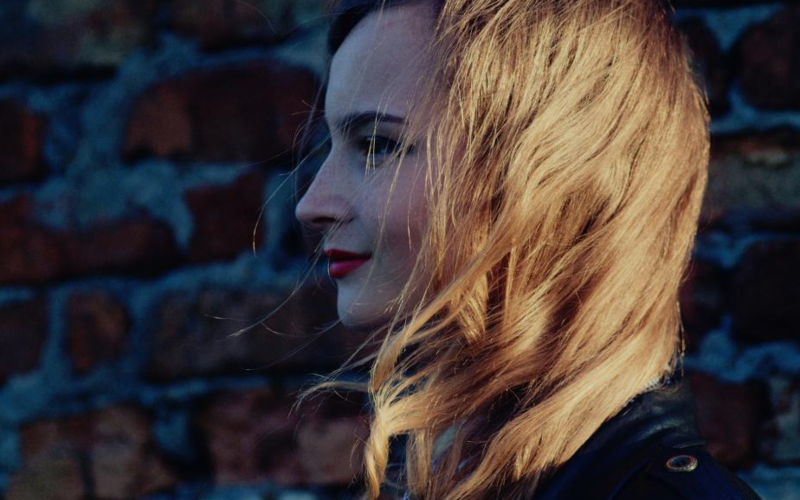 Before you figure out how to treat your dandruff, you need to know what’s causing it. Once you understand the cause of the problem we can then being to talk about the solutions. To put it simply, dandruff occurs when dead skin cells shed from the scalp. I’m sure you’ve noticed that It can be pretty gross when it happens at a rapid rate. Continue reading to learn what you need to do to treat your dandruff right now. Excess oil got you down? Excessive oil can cause your skin cells to stick together, which can lead to dandruff. Your scalp produces sebum, aka oil, which makes the issue much worse. An overgrowth of yeast, as well as many other things, can be causing your dandruff. If you have dry skin, an allergy to, or susceptibility to specific hair products you could be prone to dandruff as well. Some other causes could be scalp ailments like psoriasis, seborrheic dermatitis, or eczema. Tea Tree oil should work for most peoples’ dandruff, except the few that may be sensitive to it. There are terpenes in Tea Tree oil, which is what marijuana is made up of. It also contains hydrocarbons which are not just antibacterial and anti-fungal but also have excellent moisturizing benefits. The oil permeates dead cells that have accumulated and cleans off any horrible thing which may be making your own scalp dry and itchy! There are many remedial ways to get rid of dandruff, like shampooing, hair moisturizers, or cleansers. However, I can tell you from personal experience that most of the available brands are not capable of effectively removing dandruff. One of the most effective natural dandruff remedies is Tea Tree oil. It’s always been considered an oil that’s capable of fighting against dandruff because of it’s serious and furious anti-fungal properties. Tea Tree oil was used extensively as a treatment in olden days for wounds and other infections. This speaks volumes about its medicinal values. 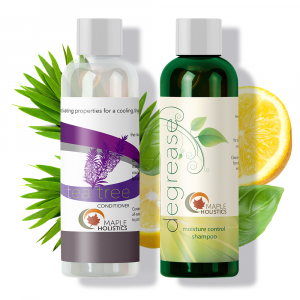 Some researches have proved that Tea Tree oil shampoo works much better than artificial shampoos. What makes Tea Tree oil so effective for dandruff anyway? 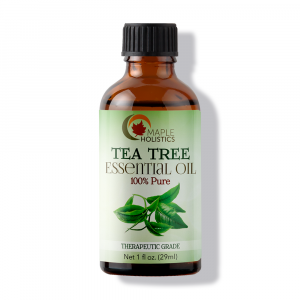 Recent studies have shown that Tea Tree oil has over 98 natural compounds. 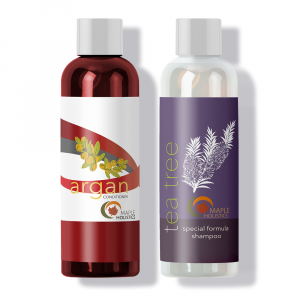 If you’re lucky enough to find a perfect Tea Tree shampoo, It will have a well-balanced formula of all components. Components that are capable of providing safety, quality, and results at a faster rate. 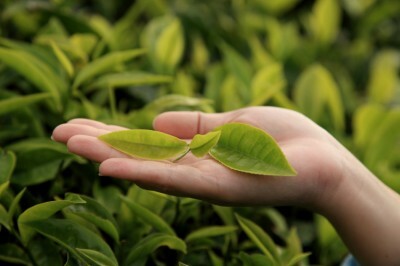 Tea Tree oil has recently become an important part of many skin care products. 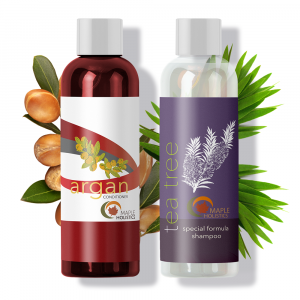 The reason why it’s been used extensively in face washes, lotions, and dandruff shampoos is due to its natural contents that are capable of providing amazing benefits. 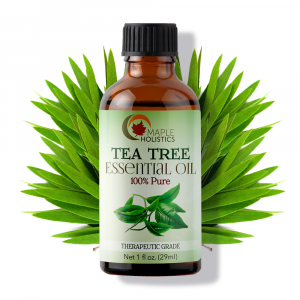 Over the years, Tea Tree oil has earned a reputation of being a natural oil with amazing medicinal values. Hence these days, it finds itself as an active ingredient in most of the cosmetic products all over the world. Tea Tree oil is known to have anti-fungal properties, so it can battle fungus like Malassezia, which makes it a great weapon for combating dandruff. As I did more research I found that Tea Tree oil mixed with other oils such as argan oil can be even more helpful. For example – Coconut oil has Lauric acid which makes it an awesome anti-fungal and anti-microbial agent. This, therefore, makes it possible to treat any kind of illness as well as Tea Tree oil which has antimicrobial properties. If your scalp is dry and has a lot of dandruff, coconut oil can help. It’s an excellent emollient that helps sooth dryness together which removes itchy flakes. Another great combination is Tea Tree oil and Peppermint oil. Peppermint oil is among the finest anti-inflammatory oils. It helps assuage an itchy scalp when combined with Tea Tree oil. Also, the antioxidants in the peppermint oil nourish and safeguard hair roots and scalp. Like Tea Tree oil, peppermint oil is also a natural antiseptic. So it would be wise to make use of both of these oils for your itchy scalp. As I just mentioned, Tea Tree oil isn’t the only natural solution for treating dandruff. Coconut oil, aloe vera, and apple cider vinegar all have properties that could help with your dandruff struggles. Since coconut oil can improve skin’s hydration, it should also be able to improve your scalp’s hydration. It may improve eczema as well, which contributes to bad dandruff. Aloe vera is known to help with burns, cold sores, and psoriasis. It also has antibacterial and antifungal properties which means it could help protect against dandruff. Apple cider vinegar has also been associated with many health benefits. The acidity is supposed to stimulate the shedding of your scalp’s dead skin cells. You can also improve your scalp’s flakiness by changing your diet and minimizing your stress levels. 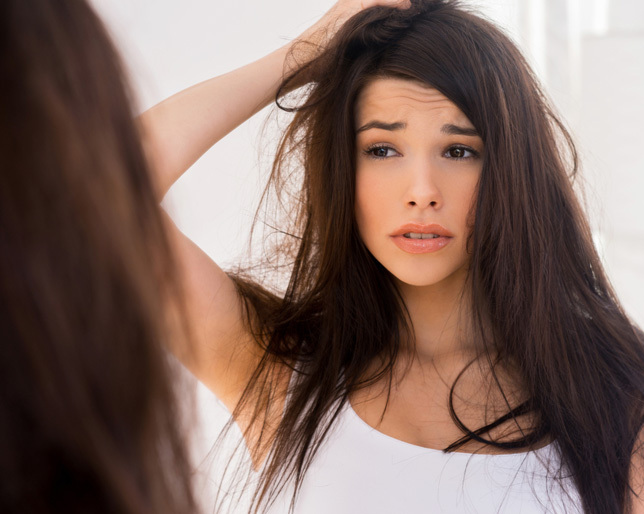 While specifically, your stress levels don’t cause your dandruff, it can worsen dryness and itching. If you continue to be stressed, your immune system will suffer. And if your immune system is weakened it can decrease your ability to fight off the fungal and skin conditions that contribute to dandruff. You can also manage your skin’s oil production and hydration by consuming more Omega-3s. Dry hair and skin and dandruff are all symptoms of a deficiency in Omega-3 fatty acids. Eating more probiotics may also help with dandruff. They enhance immune function which can help your body fight against the fungal infections that cause dandruff from the start. Probiotics have also been shown to lessen the symptoms of dermatitis and eczema. Getting back to mother nature. Sulfate ingredients in different shampoos are among the irritants that may cause an itchy scalp. Sulfates are what cause your shampoo to get sudsy and that nice rich lather. They may be causing more harm than they are helping. They’re meant to remove dirt and dead skin cells but they tend to do some damage as well. They can strip natural oils from your scalp and hair. They can even make your hair dry and brittle. The worst part is that if you have a sensitive scalp, they can cause redness, dryness, and itching- which you and I both know sounds a lot like dandruff. You should, therefore, find a dandruff shampoo that’s naturally free of ingredients similar to propyl alcohol or sodium lauryl sulfate. The shampoo should be completely natural as well. You can use baby shampoo in the event that you are unable to locate such a shampoo. Although they use the sulfates which are there in our routine shampoos or the similar cleansing agents, the sulfates are present in smaller numbers in the infant shampoo. Now you know that it’s possible to add Tea Tree oil to it to create a specialized shampoo that relieves an itchy scalp and is safe for many different hair types. As I mentioned earlier, I’ve struggled with dandruff for the majority of my life. It wasn’t until recently when I heard about Tea tree oil’s benefits, that I even thought to try it. Tea Tree oil may be just as effective for you as it was for me. It’s also so simple to use. All you need to do is add about ten drops for every eight ounces of shampoo into the bottle. 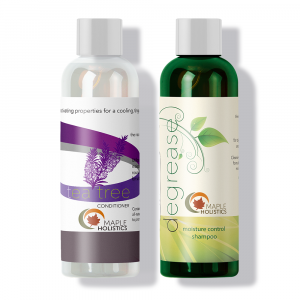 When you wash your hair with this shampoo and Tea Tree oil blend, allow it to sit for three to five minutes. Doing this will let the oil work its magic and treat your scalp. After, you should rinse thoroughly. The truth is that in the world we live in today there are so many different options and different effective solutions when it comes to problems such as dandruff. After you effectively read up on all the information you have at your fingertips, you simply need to find what works best for you and in which way. Personally, I usually run towards only natural products due to their amazing benefits and quality. I feel at ease knowing that I’m able to use something directly from mother nature herself.